Add and rearrange your picture frames very easily, without tools! Hang your pictures quickly and easily on every wall type. Changing wall decorations, paintings or photo frames couldn’t be easier. Hang multiple picture frames and make your own collage in a matter of seconds. Once installed, organize and rearrange your pictures time and time again without using tools or nails. Never damage your walls again when hanging a picture. Very sturdy picture hanging systems, also suitable for hanging very heavy works of art. Gives a supremely professional appearance. Hanging a picture has never been easier! We offer a complete range of hanging systems which enable you to hang your pictures quickly and easily in every situation. STAS picture rail can be mounted to all types of wall and ceiling. The possibilities are endless, our patented picture hanging systems can be used to hang pictures on plaster walls, drywall, brick walls, etc. Mounting the picture rail is very easy. Changing wall decorations, pictures, paintings or photo frames couldn’t be easier using the matching picture hooks and cords. Hang multiple picture frames and make your own collage in matter of seconds. Moreover, using our picture hanging rails you don’t need to drill ugly holes in your walls anymore. Once the picture rail is installed, you can organize and rearrange your pictures time and time again without using nails or screws. It’s an investment that you will benefit from during the total time of occupancy in your home, office or building! This website presents numerous different ways and solutions to help you hang your pictures safely, flexibly and elegantly. It offers mounting videos and ideas on how to hang pictures at your home or workspace, gallery, museum, school, university, hospital etc. 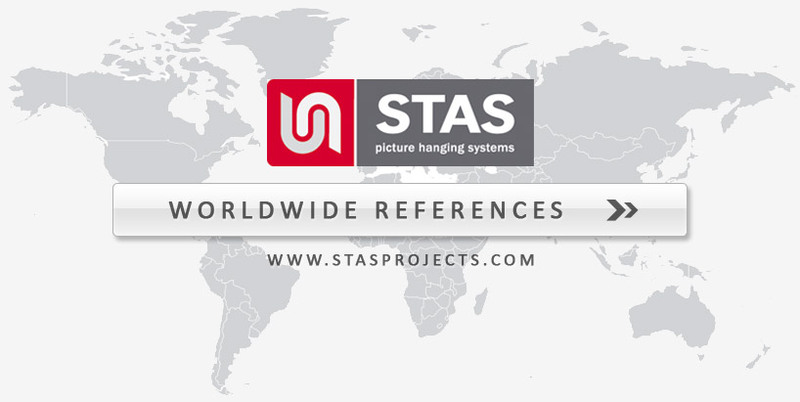 Take a look at our products page, there’s bound to be an art hanging system that fulfills your needs!